Home / Rice field in Bali, Indonesia / Green landscape. Rice field in Bali, Indonesia / Green landscape. Green landscape – multilevel rise field in Bali, Indonesia. House of farmers. 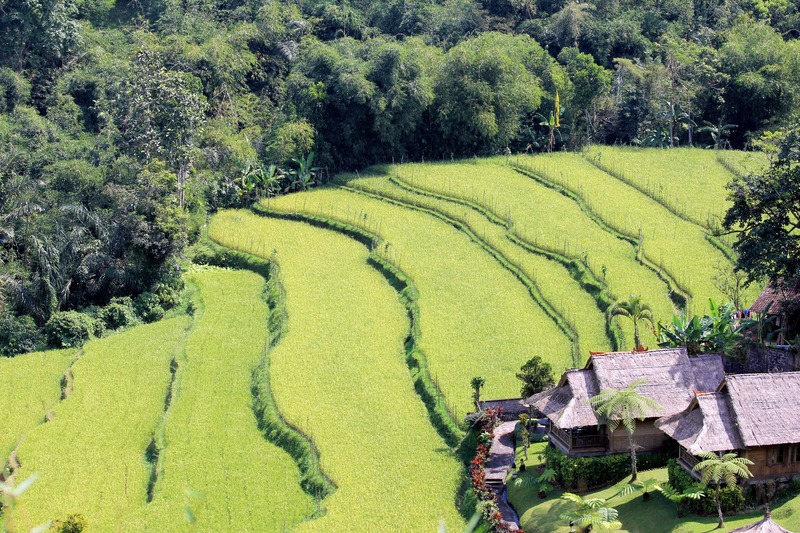 The photo shows how the peasants grow rice in the mountains of Bali. They are building a multi-stage dam. Initially there is water in steps until the rice a little. Now the rice has grown up and the water can not be seen. Rice needs to grow in the water, and there is always the mountain, and the Balinese eat mostly rice. So they build multi-level cascading fields and water is fed up. © Copyright 19th of April 2019 12:14:13 All rights reserved Photo-Sales.com.